Teresa Dismuke Bliss has a birthday today. Me and my youngest son Brandon. 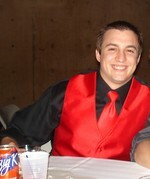 My oldest son Matthew, 25 years old.